High school gang leader Ringo Ishikawa is trying to live through his last autumn before graduation. With his best friends. You should play it if: You’re fond of good stories with strong dialogues (especially about growing up). You’re a fighting games enthusiast (you’ll get your hands on some unique brawl mechanics and I promise you’ll be satisfied). You’re into some yakuza-delinquent aesthetics. Basically, the game is an existential open-world beat’em up with some school sim elements. It has a little of everything: a town to explore, day-night cycle, NPCs on their own schedules, battle grinding, school grinding, mini-games (ping-pong, billiards, video-poker, video-game console with one game, etc.) and so on. But the main thing is the story I’m trying to tell. And I designed the game to make you feel this story. So it’s not about rival gangs, or taking over turfs, or anything. You just live there and feel. And that’s all. 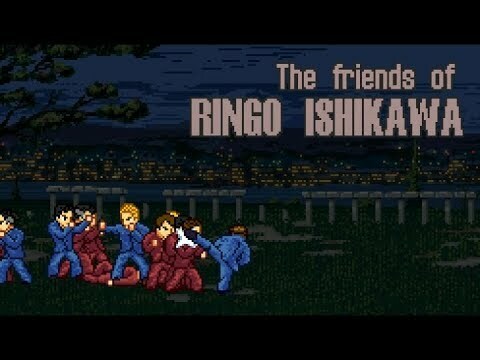 The Friends of Ringo Ishikawa was released on Switch 21d ago in the US and the UK. Notify me when The Friends of Ringo Ishikawa is available.